With so many different options, it’s easy to be overwhelmed. In my first year with 1-to-1 Chromebooks, I remember the feeling of frustration when in December my students still didn’t know where to go online to start our lesson. After some reflection, though, I began to understand the confusion. We go to the class web site usually. But sometimes just to Google Drive. Other times the Community. And others, new tools like Kahoot! or Padlet. How could I really expect them to know the when, where, why, and how of the lesson design that only existed inside my head? That’s when I began to consider the idea of an online home for all of our learning. It started in an attempt for me to be more purposeful and consistent in sharing resources, but grew to a place that helped student manage their own learning. In Start and Stay Organized, 5 Tech Tips to Start the School Year, I discussed the value of an online home for learning, but I want to explore the practical way I made that work for me. 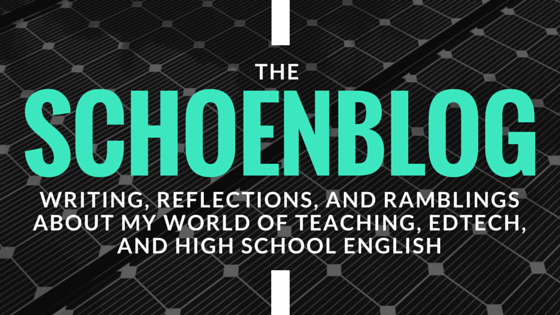 I took the half dozen places we go to learn and share online and funneled them through a single Google Doc to organize my lessons, assignments, and resources for students. While others struggled with Google Calendar, Sites, Classroom, or another platform, I kept is simple by creating the Assignment Calendar Doc. 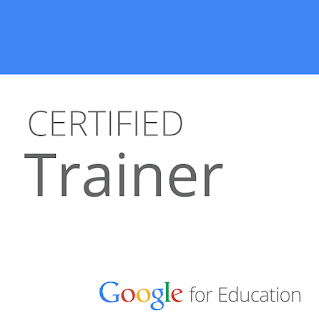 The doc was just that--a Google Document, but I embedded it on our class website to make things easy. It was also shared with students so they could find it anytime, anywhere. 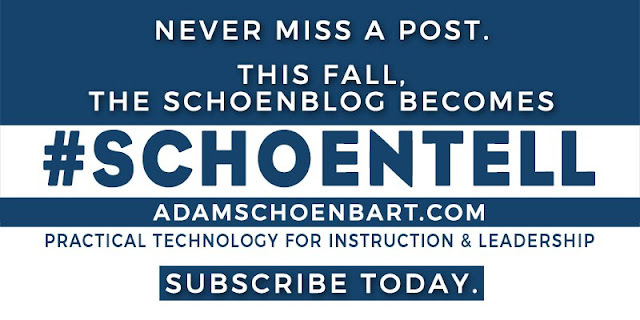 Our website was easy to remember, at english.aschoenbart.com, but I encouraged students to bookmark it, too. While I like the website fine (and remember, it hasn't been updated since the end of last school year), it was really just an effective way to house this essential doc and communicate with parents. If I wanted students to have an online home for their learning, I wanted it to be both simple and comprehensive; we needed one page that housed anything they needed to know for a day, week, or even unit of learning. Sure, we used Google Classroom all the time, for in my classroom, it’s mostly a tool for turning in work to the teacher. I also love using Google Communities for sharing, formative assessment, and brainstorms, but I needed more. Many of my colleagues turned to Google Calendar, creating new calendars or adding to Classroom’s own calendar, but it frustrated me. I didn’t find Google Calendar easy to use for teachers or for students as a place to share lessons, directions, or assignments. The Assignment Calendar Doc shared daily agendas, lesson plans, assignments, and extra resources--I could customize every day as needed. It’s an easy to manage and search chronological archive of our year--every resource is there all of the time. Reminders, announcements, and updates were easy to add, too--I inserted a fun GIF or image, changed a color, and provided any resources I needed to share. Students could go backwards (and sometimes forwards, if I was ahead of the game), to check in on and revisit past resources and assignments. Since it’s all in a Google Doc, it was so easy to share with ANYONE--if your administration wants lesson plans, absent students want resources, or parents want updates on homework, this one doc does it all. Could I have done all of this on Google Classroom or on a dozen other platforms? Sure. But for me, the Assignment Calendar Doc was the easiest, clearest, and most efficient way to get the job done. I like the ease of customization it provided, and it was so easy to share, update, and adapt from for each new school year. There’s no one right way to stay organized or share with students, but this was the best tool I found in my practice. If it works for you, please give it a shot and let me know how it goes. If not, leave a comment or Tweet @MrSchoenbart to let me know what works for you! I like to describe my organization style as intentional chaos. I know where things are (usually), and every pile is just where it needs to be--no matter how messy it looks to the outside world. Some of my lovely colleagues clear their desk every afternoon; for me, a good desk cleaning is like a holiday, announced to the office and celebrated. But online, it’s a different story. 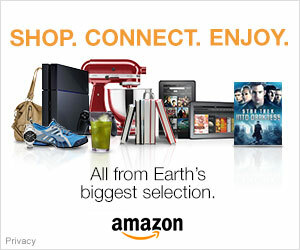 Online, I can find anything and everything. For whatever reason, digital organization just came more naturally to me. And as more and more of my work evolved to digital formats, learning how to keep myself efficient and organized in Google Drive was essential. No matter your learning management system, or whether you are Google, Microsoft, or still using your flash drive, it’s important to have tricks to stay organized. Educators simply have too much to do; we can’t waste time searching for the document you edited last May that probably has the words narrative writing in the title. We can, and need to, use technology to help make this organizational process easier and more effective so that we can focus more on teaching and learning. Be intentional and consistent with your decisions and put some thought into how you organize your work so that the awesome things you create and update can become easier to find and use in your practice. Below, find some quick strategies and tips that work well for me. Then, as the school year gets started, be sure to share what’s worked for you, too. Image from Quote of the Day. The bell rings and students log onto their devices. Where do they go? What do they do? Why? For many teachers, an objective and/or do now activity is projected or written on the board. Consider adding a digital home to that learning. Create a space for students to access every single day; one place where their learning begins. In my classroom, that was our website. On it, I embedded a Google Doc called the Assignment Calendar, which outlined all of our lessons and learning. Whether the next activity was on Google Classroom, Kahoot!, or independent research, this home for learning helped get my students focused, showed them where to start, and provided an important resource for learning. Absent? Late? Just wasn’t paying attention? Check the site. There are so many great tools, sites, and apps that we use in schools, so it was helpful to develop a meaningful and consistent routine by providing students with an online home for learning. The only wrong way to name a new file or folder is by leaving it an untitled document. A week of this practice and things will get really confusing, no matter your platform or device. Instead, make sure to have a consistent naming convention for all of your work. Use folders to organize all of your files and keep things in a place that make sense for you. With Google Drive, I create a new master folder in My Drive every year for upcoming school year. Within the 2017-2018 folder, I have a folder for each prep I teach. Then, each unit gets its own folder starting with 01 Beginning of the Year. By adding the 01 preface to the unit, my folders will now stay organized in chronological order easily. On Google Classroom, I also name my assignments with numbers (i.e. 01 Student Data Form) to create an easy to track common language about the work in our classroom. Additionally, I recommend using Drive’s features like star and color change to help find your important files faster. Finally, I always create a new file within the folder I want to store it in--a little thought early on makes things easier for my practice. It’s not every day that I can plan every lesson detail ahead of time, but whenever possible, I like to not just plan but schedule in advance. Using tools like Remind and Google Classroom, you can schedule announcements, assignments, and reminders in advance. Your school e-mail service can probably do this, too. If I’m lucky enough to have my week planned in detail on Sunday afternoon, I’ll add my reminders and assignments then and there. With Remind, I’ll add major reminders about big due dates, and sometimes sprinkle in some jokes or updates to build community. Then, on Classroom, I’ll schedule our assignments and daily activities. I can always update this, but by scheduling work for the day or class I need it in advance, I’m saving myself some time and trouble in the hectic rush of the school day. Sometimes, things are just lost. You know you have the untitled document somewhere, and it was edited last Tuesday, but you have no idea where you saved it. Before starting over from scratch, explore your device or platform’s search functions. From my experience, a little work learning how to search effectively on Mac OSX, Windows, or Google Drive can go a long way. On most platforms, you can narrow your search by so many features: file type, owner, words in it, range of dates modified. If you’re thoughtful here, losing files will become a thing of the past. Gif courtesy of the Google Drive Blog. Finally, reflect and grow. I like to be very intentional about my decisions with technology, especially when working with students. There’s too much new and too many options, which makes it easy to overwhelm them--and ourselves. For example, when Google Classroom first came out, I had assignments scattered across our Google Site, Classroom, and a Google Community. I reflected by taking notes on my iPhone, and then in a running Google Doc. Halfway through that school year, I streamlined it and made a change. Find a good note taking app or process for you (these days, I recommend Google Keep). Ask for feedback from your students and peers, too. Remember, what you do on one day or one year doesn’t need to dictate your only way of doing things, but it is important to be intentional and meaningful with technology. For me, there’s no right and wrong for staying organized. There are “best practices” in the generic “this usually works well,” but there are no absolutes. Through reflection and note taking--both with organization and with teaching--I can stay focused and make sure I’m always growing. What are your best strategies for staying organized online? Add yours to this list by commenting below! Please share your thoughts in the comments or on Twitter @MrSchoenbart. It may be midsummer but the start of the new school year draws closer and closer. The months will turn to weeks and days before I know it, and some of you are likely preparing for a much earlier start. As you balance the need to recharge, regroup, and relax this summer (you’ve earned it!) with the constant reflection and planning for next year, start thinking about ways to do things more efficiently. Here’s a typical teacher challenge: we want to know as much as possible about our students as quickly as possible. We also want to make our lives--and students lives--easier and more efficient when we can. With one simple Google Form, you can do both. 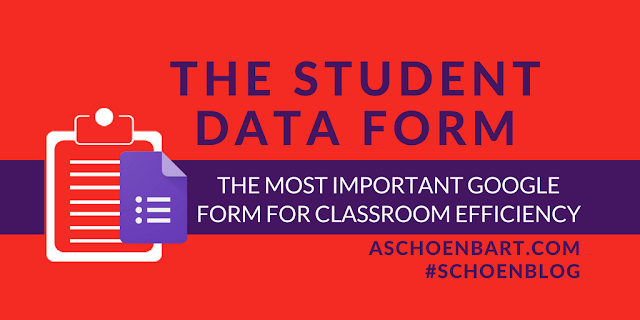 The Student Data Form is a simple and essential way to learn about my students, collect data, and organize my workflow. Click here for a public copy of my form to view. You can also make your own copy--use this link to copy the sheet and form together. After you copy it go to Form --> Edit Form for your copy. My form questions are rather basic here but you can add your own as needed. I start with: student first name, last name, birthdate, assigned Chromebook letter, etc. Check them out at the links above. Here’s the key: I assign this form on the first day of school. Every single student fills it out, no matter when they enter my class. If you’re here on the first day, new to us in week three, or transfer in in May, you fill out the form. Why? It’s all about the roster. This form collects students usernames, which means e-mail addresses, restricted to our Google domain. I assume that on the first day of school they will all type their names correctly, but it’s hard to make that assumption again and again. And when they don't, here is where I fix it. When they type it correctly here, I now have a full, complete, and perfect roster of my class. I now not only know their names, but never have to type them again. I ask for first and last name separately so I can sort and alphabetize. I also ask for the class name, period, and teacher name so that my data becomes powerful--I can now sort in every which way possible. Want to explore organizing Google Form results in Sheets? Check out the Schoencast: Tips for Viewing Form Results in Sheets. Never ask for a name again: with a full roster from the first set of form results here, I can now copy and paste my full roster into the next Google Form. Instead of asking students to type their names, I let them select from the drop down--copy and paste with no errors. Want to explore form automation? Check out the Schoencast: Form Mule, and then consider copying and pasting the student e-mail list instead of just names. Make this your drop down question to explore sending automated responses to students easily. Assign Chromebook numbers? Seats? Books? Collect that data right here, and then post the list for your students. I print our Chromebook list and post it on the cart--when something is misplaced, we know who is responsible and who needs to fix it. No more typos: I’ll say it again and again--technology can eliminate human error in a big way here by letting students focus on the important stuff. Sure, every kid needs to be able to type their name correctly (duh! ), but you’re bound to have regular mistakes with e-mail addresses. Make things easier and more efficient. Why Birthdays? I use Twitter and formMule to automate a Tweet and e-mail to every single student on their birthdays. It’s a great way to use technology to help you build community and relationships. Check some of them out with #SchoenTell and learn how to do your own in My Birthday Workflow: How to App Smash Birthday Tweets to Students. All of these little reasons add up. But there’s so much more you can do with sheets and a reliable roster. My gradebooks and attendance lists update themselves. With some VLOOKUP and QUERY functions in Sheets, I can organize form results like never before. I always know who submitted a form without a hassle. How? With what I call Roster Validation--a Google Sheet coded to compare your valid roster with a set of form submissions and to organize that data for you. Explore and play with the ideas throughout this article--they’re great for beginner to intermediate form users. The Roster Validation set up is a bit more advanced, but you can do it! For now, think about practicing with some of these Google Sheets functions, especially VLOOKUP. And soon, we’ll come back to the Schoenblog and explore further. How do you use student data to make your work more efficient? What data do you collect? What do you find useful (or not) in the Student Data Form? Please share your thoughts in the comments or on Twitter @MrSchoenbart. We need to work smarter, not harder. And when we work harder, it should be on the things that matter. It’s an unfortunate truth about education that we’re so often bogged down and overwhelmed by red tape and paperwork, making it hard to manage our time. So when technology can help us manage time more effectively, make our work easier and more efficient, and clean up some of that literal or metaphorical red tape, we need to let it and celebrate it. And this summer’s updates to Google Forms help us to just that--they help make form creation and use more efficient so we can stop reinventing the wheel and get more out of our time. The new Google Forms became the default Forms for G Suite back in February of 2016, and since then there’s been a handful of updates: images for questions and answers, predicting question types, easier templates, and more. But it’s the newer updates that really excite me because they problem solve real problems for educators and schools. These are updates I want and have asked for; they will actually lead to more effective and powerful use of forms in my practice. So update by update, let’s explore why. For the Google Blog article about these new features, click here. The images below are from this article. Response validation is an incredibly useful feature, but it can be a challenge to use well. Click the three dots in the bottom right corner of a Form question, and select validation. Then, you can create a custom rule for the question and an error message when that rule is broken. Think back to the last time you’ve entered your e-mail address wrong on a form. You forget the @ and the form knows it’s not an e-mail, reminding you to please enter a valid e-mail address. That’s response validation. But it has so much more power than that--want a 10-digit phone number? A word that’s 12 characters? A short response of no more than 20 words? Exactly 4 checkbox selections? Validation can do that with what’s called regular expressions; the article, Useful Regular Expressions for Validating Input in Google Forms, walks you through the possibilities. Huh? What does that even mean? Google’s new intelligent validation solves the problem of the confusing regular expression and predicts the validation based on the question (see the image below). It remains to be seen how powerful and complex the feature becomes; will it only predict e-mail, web address, and whole numbers, or complex expressions, too? It’s too early to tell, but with intelligent machine learning, the possibilities are powerful and exciting. For now, it means that it will be a lot harder for a student to type in the wrong e-mail address or share an invalid web address. Uploading files to a Google Form was a hot request for a long time, but for me, Google Classroom, and even Drive, have made it loose meaning. Why do I need to have students submit files on a Form when they can turn them in on Classroom or share on Drive? The answer, or one answer, is to share with others, too. When the file is uploaded, it’s organized on the response Sheet, which is easy to share and organize. This is an easy way to share student work and ideas outside of your classroom. The new addition of uploading files outside your domain isn’t as important for students, but for schools and organizations. Want parents to submit art for a yearbook ad? Do teachers need to submit receipts? How about invoices from vendors? As a former theatre director, I even paid for another service to create a form where parents could upload artwork for the playbill. At the time, this was something worth paying for to me. While it’s easy to share with Drive, for someone new to Google, the upload feature is familiar and powerful. It can make school business, clubs, and similar submissions a whole lot easier. During the school year, I probably create a dozen forms a week. That might be a low number in some weeks. And each time, the first thing I do is adjust the settings. Collect e-mail addresses. Restrict to our domain. Often, only one submission is allowed. I’ve gotten smarter and sometimes create a template form with all of my settings, and then create copies in Drive. But that’s extra work I shouldn’t have to do. When I’m working with students, I know that I ALWAYS want to collect their e-mail addresses because I want to eliminate user error. I want default settings. And, thankfully, now we have them. The image below details the new default choices, and I hope they become more robust. Submission attempts, response messages, and more should all be customizable as defaults. For me, this change matters so much, but I hope it continues to evolve. Have you ever had to use a site like doodle.com for scheduling because you couldn’t figure out how to get a Form to work for that particular question? Now you don’t have to. I’m curious about other uses for this question type--I don’t have them yet--but it’s a simple and obvious addition. We need to be able to reorder Form sections. I’m not sure there’s anything more to say about that, but it’s an important change. This is especially true if you like to play with branching forms and pages; our work just got easier. It’s not just these changes that excite me, but the potential for the future. I love that Google is always iterating and updating it’s G-Suite products, and that they always look for feedback from education. I’d love to see some of these features continue to grow, and can’t wait to try them in my classroom, school, and practice soon. What are some uses you see for these new #GoogleForms features? What changes would you like to see next? Please share your thoughts in the comments or on Twitter @MrSchoenbart.